If you are looking for an Essex beer festival, you’ve come to the right place. This is a list of beer festivals in Essex both major CAMRA beer festivals and those held in pubs. Tap takeovers and the like are also covered. If you know of a festival that you think should feature here, use the contact form or email me, or use Twitter or Facebook. After a period when the future of The Viper looked ‘iffy’, another of their beer festivals is announced! Over 80 ales and ciders. Thursday 25th April 2019 to Monday 29th April 2019. Real ales, ciders, bbq and music. Another in their sequence of their popular tap takeovers. ‘Appen it’s more keg beer madness. More dets when available. Over 20 beers from across the country. Food and live music. The first bottle share in Southend. Tuesday 7th May 2019, 7:00pm-? The long-running SBXS. Rock up with 2x330ml bottles of the same craft beer (or 1x750ml bottle). Check their online spreadsheet to see what beers have been there so you don’t bring one that’s been there before. Restricted again to the pub and the beer garden, no quaffing off the premises! A focus on Essex breweries this year. Tuesday 4th June 2019, 7:00pm-? A variety of beers, ales and ciders will be available along with wine, presecco, spirits and a selection of gins. Tuesday 2nd July 2019, 7:00pm-? 3 sessions to choose from designed to make an intimate experience, up to 12 craft brewery bars from across the country plus the Fable/variety bar. High quality vegan food available – electronic dance music in separate room. 12 Beers in marquee, 3 in pub, 3 ciders in marquee & 1 in pub, Thai and English food, and music. Tuesday 6th August 2019, 7:00pm-? Tuesday 3rd September 2019, 7:00pm-? It’s been a little while since there’s been a beer festival in Ipswich, and the young (relatively speaking 😉 ) guys from Hopsters have stepped up to the plate and their beer festival looks to offer a great balance of craft beer and real ale alongside cider and street food and music. Tickets on sale now (it’s a bit pricier than the usual real ale beer festivals, but then again, it’s not your usual real ale beer festival). Tuesday 1st October 2019, 7:00pm-? Tuesday 5th November 2019, 7:00pm-? Tuesday 3rd December 2019, 7:00pm-? 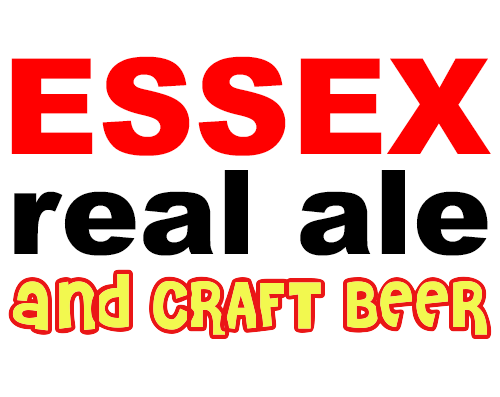 Follow Essex Real Ale on Twitter : @EssexRealAle.